This massive mall has a theme park and a wedding chapel, where more than 5,000 couples have been married since its opening. Mall of America opened in 1992 and is the third largest mall in North America. The mall has a gross area of 4,200,000 sq ft available as retail space. That's enough to fit seven Yankee stadiums inside of it! Mall of America is the most visited shopping mall in the world with more than 40 million visitors annually (or roughly eight times the population of the state of Minnesota). Spending 10 minutes in every store would take a shopper more than 86 hours to complete their visit to Mall of America. The mall includes a cinema, Nickelodeon Universe theme park, aquarium, adventure golf, flight simulators, and a comedy house. This mixed use development will incorporate two hotels, including a 5-star Kempinski, which will offer over 900 rooms combined, a host of licensed restaurants, tennis court, swimming pools and spas. 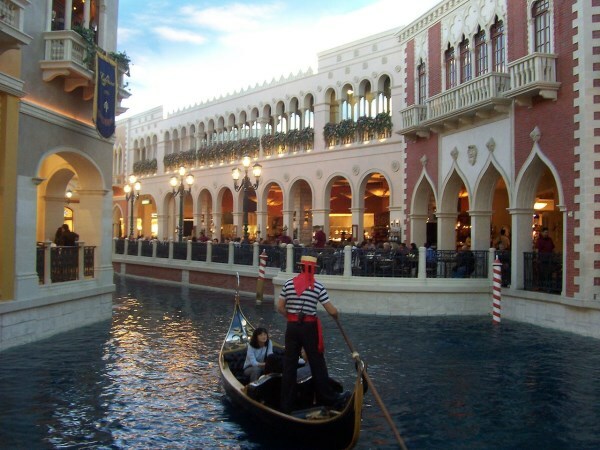 The Grand Canal Shoppes is an 500,000 sq ft (46,000 m2) upscale shopping mall adjacent to The Venetian Hotel & Casino and The Palazzo in Las Vegas Strip in Paradise, Nevada. The mall was opened along with the Venetian Hotel in 1999. 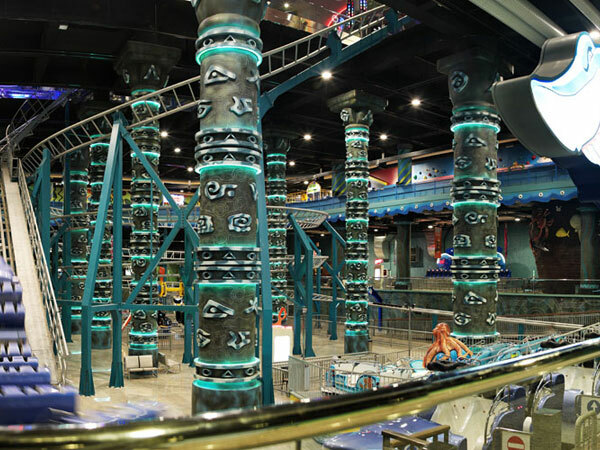 It has indoor canals, where gondolas will take you around the mall. The mall is anchored by a flagship, high-fashion Barneys New York store and contains many designer and upscale boutiques. Live performances can be found throughout the mall. As of 2008, the mall was seeing 20 million visitors a year, among the highest in the country. 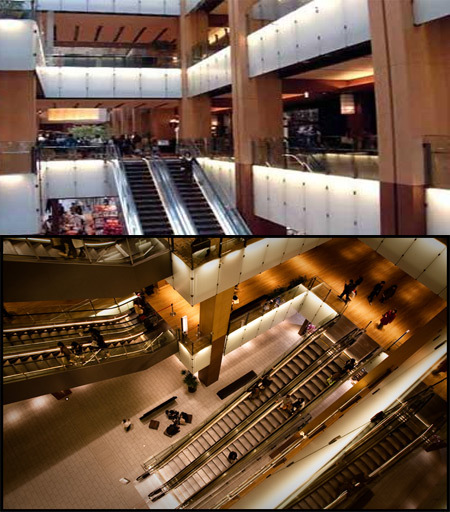 Tokyo Midtown opened its doors in 2007 and is a mixed-use development in Roppongi. The main tower has important companies as its tenants, such as Yahoo, Fuji Xerox, a clinic by John Hopkins Hospital and the Ritz Carlton Hotel. The shopping and dining areas are home to numerous world-famous brands and chefs. The complex is also home to Design Sight 21_21, which is a design gallery and workshop conceived by fashion designer Issay Miyake and world-famous architect Tadao Ando. Whether it's art, fashion, food, entertainment or lifestyle, you'll find its most sophisticated appearance at Wafi. In 2008, Wafi received awards for Best Shopping Mall, Best Restaurant, Best New Hotel, Best Spa and Best Independent Boutique. 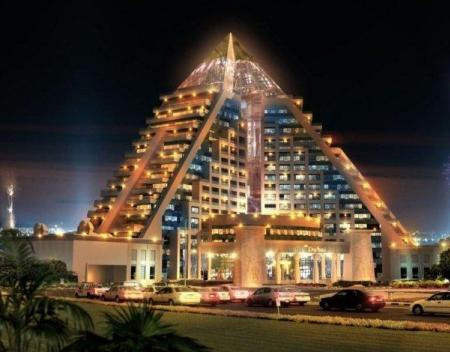 With a famous souk, world-class shopping and the finest dining in Dubai, there's only one Wafi. The 5th largest mall in the world and the largest in North America features the largest indoor water park, which has the biggest wave pool in the world. 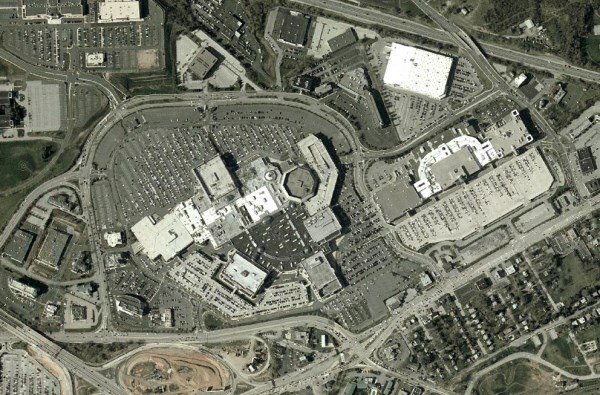 Built in 1981, the mall has over 800 stores and services and parking for more than 20,000 vehicles. The mall also includes theme areas including: Bourbon Street (New Orleans-styled clubs and restaurants), Europa Boulevard, and Chinatown. The mall has a theme park called Galaxyland whith a number of attractions including a roller coaster. 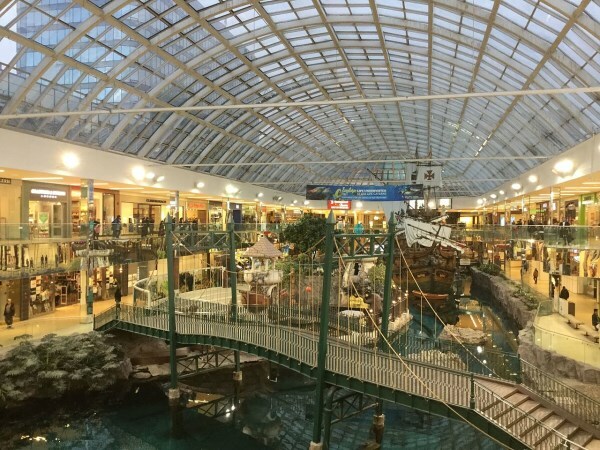 In addition, the mall has an indoor lake, which is home to four sea lions and a replica of the Santa Maria. The mall also has a hotel, indoor shooting range, petting zoo, dinner theater, cinemas, four radio stations and an inter-denominational chapel. 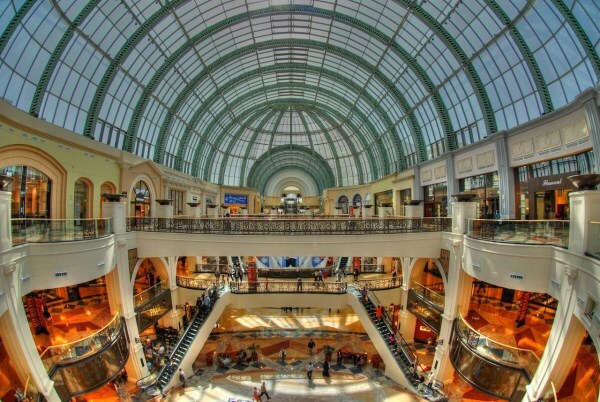 The Dubai Mall is the world's largest mall in terms of total area (12.1 million sq ft). The mall has 1,200 shops and houses and an aquarium, which earned the Guinness World Record for the world's "Largest Acrylic Panel". The mall also is home to an ice rink, 250-room luxury hotel, 22 cinema screens plus 120 restaurants and cafes. 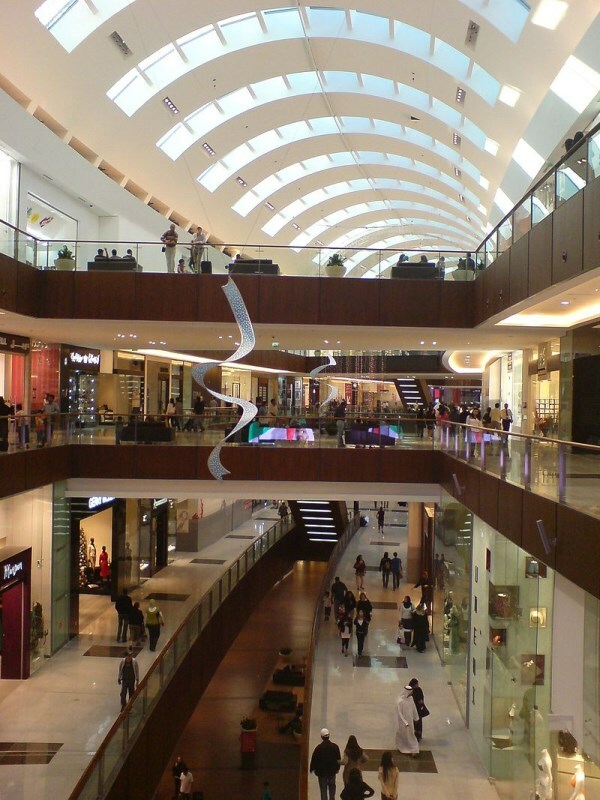 It also features the unique "malls-within-a-mall" concept with themed shopping areas like Gold Souk, Fashion Island, and The Grove, an indoor-outdoor streetscape with a fully retractable roof. 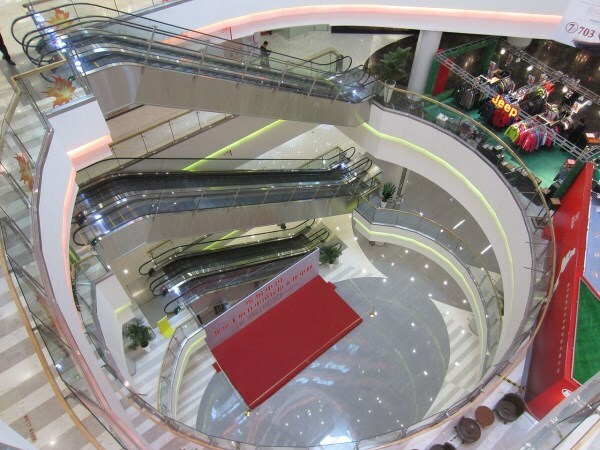 Not only has this mall made it to the world's top 10 largest mall, but it also holds a slot in the top 10 luxurious malls of Beijing with a gross leasable area of 3.4 million sq ft. It is reported that this mall is the largest shopping centre in Europe. Located in Istanbul, Turkey, it brings 343 shops, about 50 restaurants, 12 cinemas, including a private theatre, a bowling hall, a small roller coaster and a glass roof with the second biggest clock in the world under its roof. It claims the 5th spot with 3.47 million sq ft of gross leasable area. 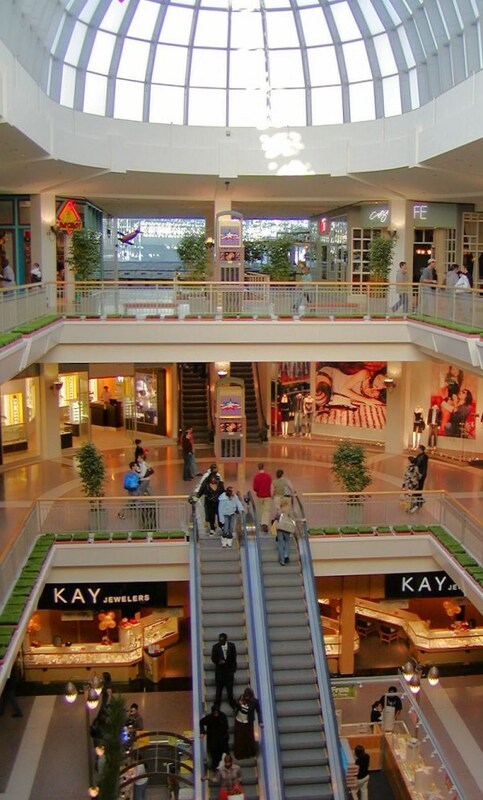 Boasting seven world class department stores and more than 400 stores, boutiques, and restaurants, King of Prussia has more pure retail shopping space than any other attraction in America and it features stores that cannot be found elsewhere in the region. 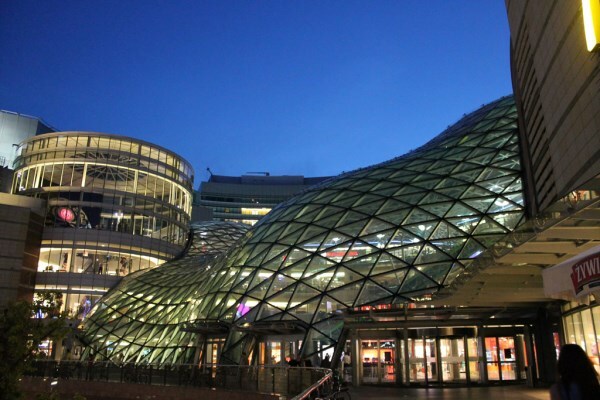 The Z?ote Tarasy (English: Golden Terraces) is a commercial, office, and entertainment complex in the center of Warsaw, Poland, located next to the Central Railway Station between Jana Paw?a II and Emilii Plater streets. It opened on February 7, 2007. 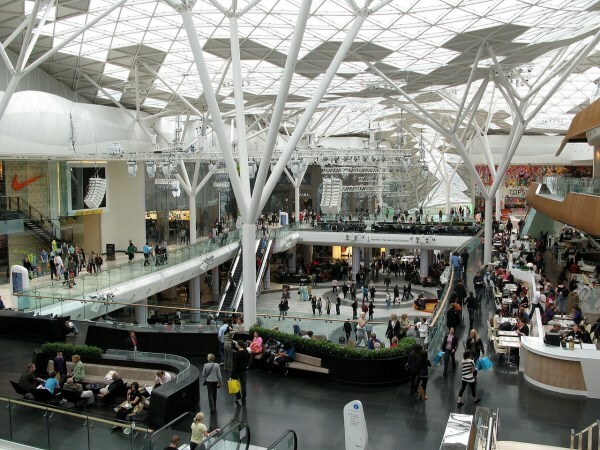 Westfield London is a shopping centre in Shepherd's Bush in the London Borough of Hammersmith and Fulham. The centre was developed by the Westfield Group, run by Frank Lowy on a site bounded by the West Cross Route (A3220), the Westway (A40) and Wood Lane (A219), and opened on 30 October 2008. The centre is noted for its size: with a retail floor area of 150,000m² (1.615m ft²), the equivalent of about 30 football pitches. At the time of its opening it was reported to be the third largest shopping centre in the United Kingdom.